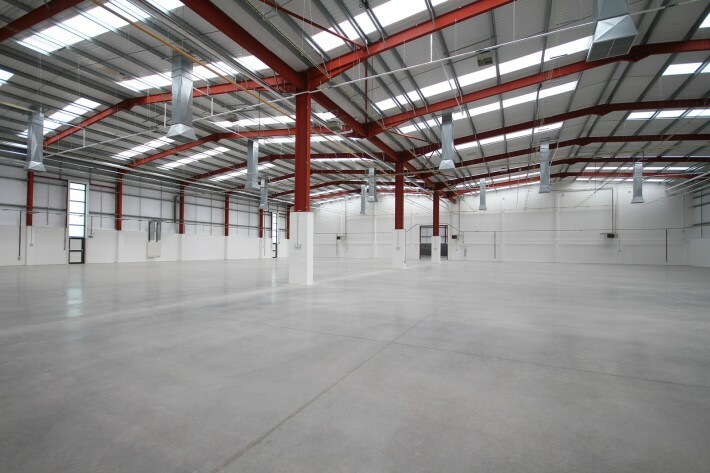 Buildings 1 and 2 were designed to a very high specification. 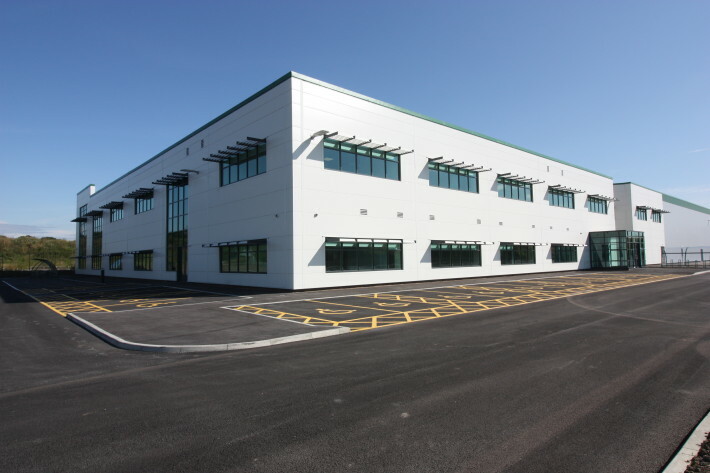 Building 1 is a modern detached 30,350 sq ft office building over two floors and included a bespoke designed reception desk and mix of open plan and glazed partitioned offices. 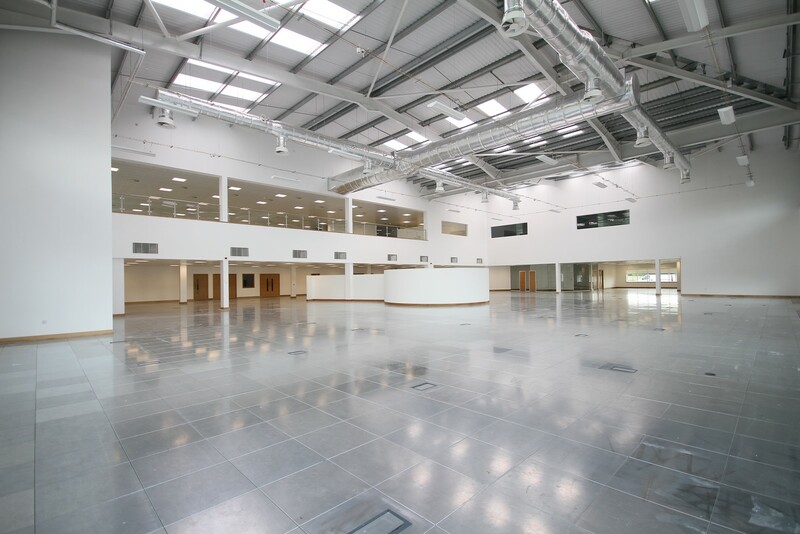 Building 2 is linked via a glazed corridor and provides 41,000 sq ft industrial/manufacturing space, with 6,500 sq ft of canteen/office accommodation. 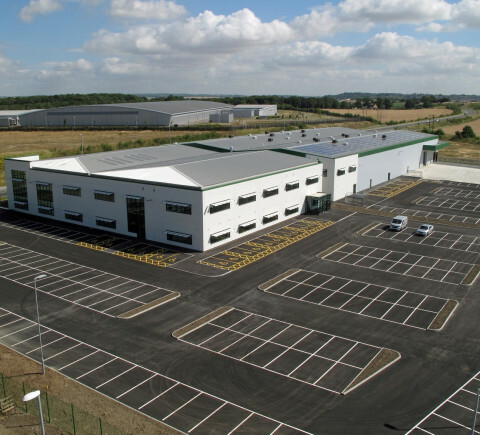 The project also included the design of external areas for full HGV circulation, high quality landscaped surroundings, HGV parking spaces and car parking for 244 spaces. 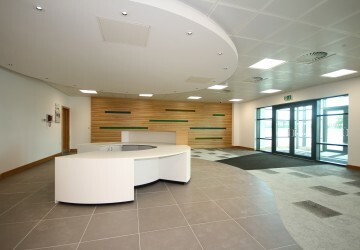 Image to the left shows the warehousing/industrial manufacturing space and image above shows the bespoke designed reception desk. 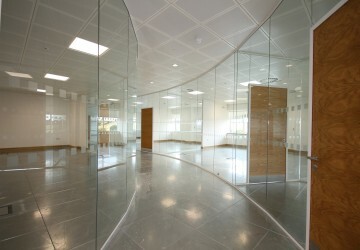 Above images show the open plan offices/R&D space and executive glazed partitioned offices, whilst image to the right shows another perspective of the external design.